The basic sources for this pamphlet are the five volumes of the History of U.S. Marine Corps Operations in World War II. Other books that contributed to the narrative include: Jane Blakeny, Heroes, U. S. Marine Corps, 1861-1955 (Washington: privately printed, 1957); Antiaircraft Defense (Harrisburg, Pennsylvania: Military Service Publishing Company, 1940); Robert D. Heinl, Jr., Soldiers of the Sea (Annapolis, Maryland: U.S. Naval Institute Press, 1962); Uncommon Valor (Washington: Infantry Journal Press, 1946); Ordnance School, Handbook of Ordnance Material (Aberdeen, Maryland: Aberdeen Proving Ground, 1944); Patrick O'Sheel and Gene Cook, eds., Semper Fidelis (New York: William Sloane, 1947); Robert Sherrod, History of Marine Corps Aviation in World War II (Washington: Combat Forces Press, 1952); Stanley E. Smith, ed., The United States Marine Corps in World War II (New York: Random House, 1969); Carolyn A. Tyson, A Chronology of the United States Marine Corps, 1935-1946 (Washington: Historical Division, HQMC, 1965); and Charles Updegraph, Jr., U.S. Marine Corps Special Units of World War II (Washington: Historical Division, HQMC, 1972). Available in the archives at the Marine Corps Historical Center is an impressive body of primary source material prepared by individual defense battalions during the Pacific War. Also in the Marine Corps Historical Center are the Oral History and Personal Papers Collections, containing many first-hand accounts of World War II. The author wishes to thank members of defense battalion reunion groups and associations, who provided letters, manuscripts, recollections, and photographs to aid in the writing of this story. Especially helpful were Frank Chadwick, Curtis Cheatham, and Jim Powers. Special recognition also goes to Mary Beth Straight, U.S. Naval Institute; Alice S. Creighton, the Nimitz Library; Lena M. Kaljot, Marine Corps Historical Center; the staff of the Historical Electronics Museum, Inc.; and David A. Melson for their help with the photographs. 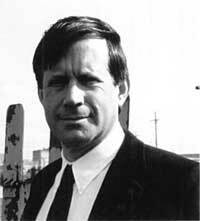 Major Charles D. Melson, USMC (Ret), was born in the San Francisco Bay area. He is married to Janet Ann Pope, a former Navy nurse, and has two children, David and Katie. Major Melson completed his graduate training at St. John's College, Annapolis, Maryland. He is coauthor of The War That Would Not End, a volume in the official history of Marine Corps operations in Vietnam, and contributed to U.S. Marines in the Persian Gulf, an anthology. He also wrote Up the Slot: Marines in the Central Solomons, another pamphlet in the World War II commemorative series. A Marine for 25 years, 1967-1992, Major Melson served in Vietnam, during the Gulf War, and carried out a variety of assignments in the Fleet Marine Force. He also taught at the United States Naval Academy and served at Headquarters, U.S. Marine Corps. For six years, he was a historian at the Marine Corps Historical Center, Washington Navy Yard, and he continues to deal with the past as a writer and teacher. THIS PAMPHLET HISTORY, one in a series devoted to U.S. Marines in the World War II era, is published for the education and training of Marines by the History and Museums Division, Headquarters, U.S. Marine Corps, Washington, D.C., as a part of the U.S. Department of Defense observance of the 50th anniversary of victory in that war. Editorial costs of preparing this pamphlet have been defrayed in part by grants from the Special Marine Corps Units Fund, Defense Battalion Association; the Defense Battalion Association; Mr. Charles L. Henry, Jr.; the American Lighting Company; Mr. James H. Powers; and the Marine Corps Historical Foundation.